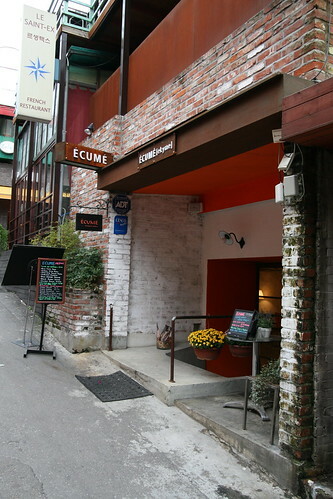 Écumé [ekyme] or 에뀌메 means foamed in French, it also means skimmed and plundered and has an unfortunate connection to scum, but don't let that put you off this small restaurant located less than a minute from the Hamilton Hotel. 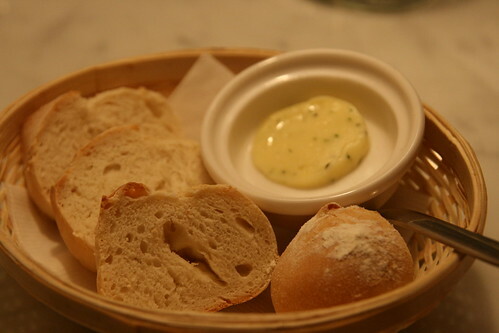 First to come was the bread basket, crusty chewy little slices that were quite delicious, but unfortunately came with a rather oddly flavoured herb butter that tasted like it had seen better days. 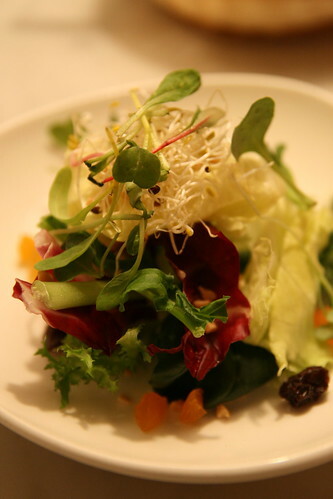 Next to come was the "small salad", I opted for no dressing (sour plum is available) and was pleasantly surprised by this varied combination of greens with raisins, dried apricots and chopped peanuts. An interesting and slightly sweet addition to lunch. 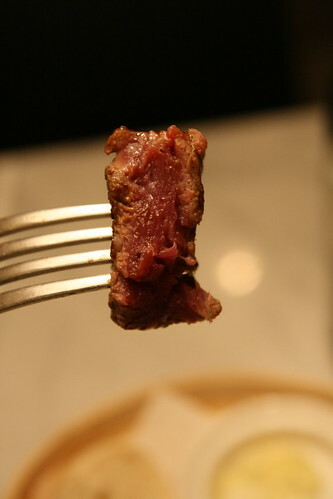 After a brief hiatus out came the strip loin steak, presented well, but hampered by some rather unexciting accessories. The broccoli was rather hard and the small hash brown sort of thing hiding under the meat tasted slightly of failure. 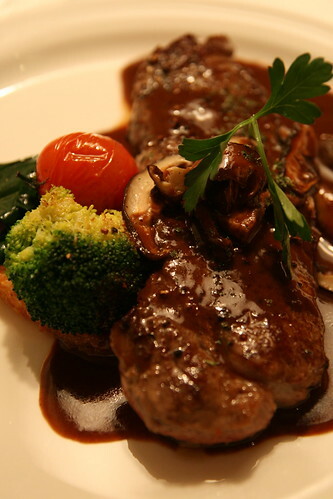 The cherry tomato was perfectly adequate, but the steak, mushrooms and red wine sauce were far better. A little too salty for my liking, but still enjoyable. Overall not a bad lunch, plus the service was fast and friendly. 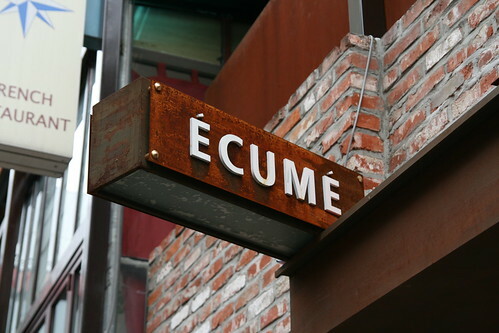 You can find Écumé [ekyme] just two side streets away from the Hamilton Hotel, just come out of Itaewon Station exit 1, walk past KFC and the Nike shop, then turn right just after the Samsonite shop. 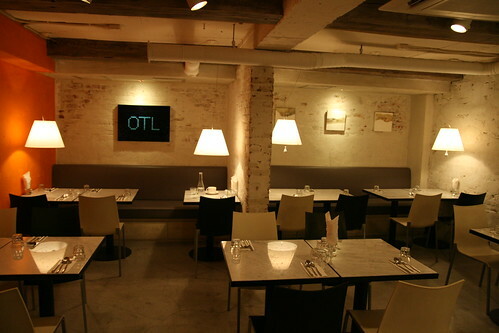 The restaurant is a few metres away just behind Le Saint-Ex. Give them a call on 02 3477 7378.